Individuals who have visited the wonderful city of Cocoa Beach, Florida, can attest to the urge of longing to be a property owner in the home of over six miles of ocean beaches. Cocoa Beach is a dynamic city with lots of community amenities and a wide range of shopping destinations, entertainment and dining. 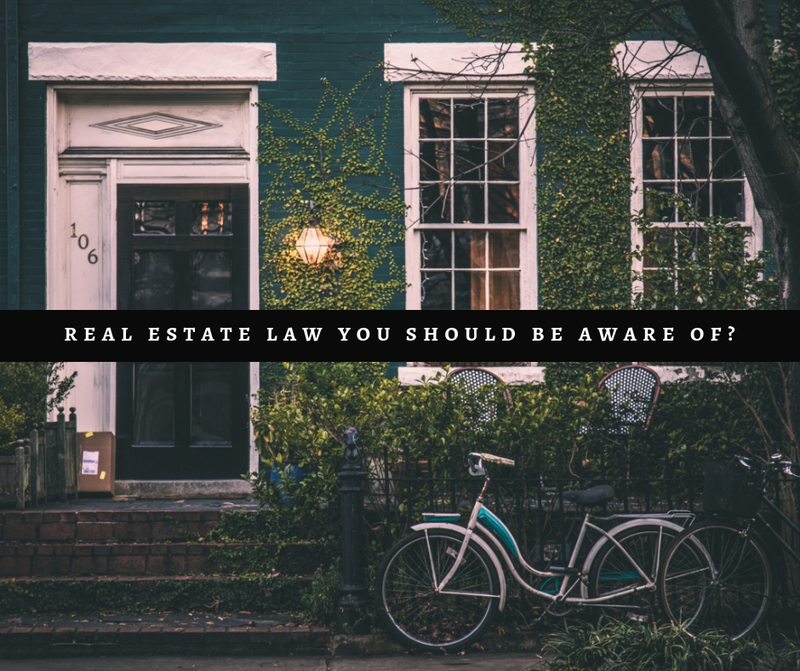 In the event you are looking at real estate statistics in Cocoa Beach, with the intent of purchasing a home or condo, it is important to understand the law governing the purchase of such. You may ask your Realtor to take you through all the do’s and don’ts. While this shouldn’t be considered legal advice or a substitute for attorney advice, here is some general info on laws affecting the sale and purchase of property in Cocoa Beach. 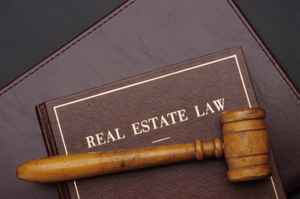 Some of the real estate laws in Florida can cause challenges for buyers and sellers. As a potential buyer, it is your duty to carry out inspections on the property you are seeking to acquire. The seller is only obligated to point out obvious or apparent issues. A good idea is to hire a professional home inspector. A good home inspector will go through the home thoroughly, inspecting and checking on just about everything. They will also provide you with a written report for your records & negotiations with the seller. Home inspections can range between $200-$500 depending on the location and the size of the house, and the inspector can point out any “red flags” that may require further investigation which can avoid many legal issues. Many times this includes going through crawl spaces, basement, attics, and roofs. All of this must be completed within the timing drawn out in the purchase agreement fully completed and documented prior to the real estate closing. Depending on the state or city, the process of buying or selling a property is different. For those in Cocoa Beach, Florida, the following steps should be followed with the help of your Realtor. Acceptance of the offer– when the seller accepts the offer from the buyer, the agreement is sealed by both parties signing a contract. The seller may request that the earnest money is paid to an attorney or agent. The contract is then sent to a title company or attorney for the transfer of title to the new owners. All matters listed in the title deed should be confirmed at this juncture. Disclosure- the person intending to sell a home or property must make it known to the buyer of all matters that could potentially affect the value of the house. He or she must present the list disclosure before the closing date. The buyer is required to acknowledge this list before the finalization of the sale. Inspections- as earlier mentioned, it is the duty of the buyer to carry out inspections on the property before the time indicated on the contract elapses. Negotiations- after the initial negotiation & acceptance, sellers could again be asked to lower the sales price, finish repair work if indicated in the home inspection, or provide a home warranty to deal with any future or unknown problems with the property or home. Secure a mortgage- having agreed to the price, the buyer is required to apply for a mortgage to facilitate payment. All necessary steps during application should be adhered to. Work closely with a mortgage lender to guide you through all the steps and paperwork. Pre-closing- here, a closing date is set and all paperwork such as title insurance, deed, lender forms and any other document collections. The buyer is given the final payment amount they’ll need for the closing. Closing- this is done in the office of the title company office, attorney or real estate office. The buyer and seller have signed all required documents, the lender has funded the loan, the deed is transferred and recorded. All in accordance with Florida real estate law. Once “confirmation” of recording is received, the deal is done and the buyer takes the keys! Welcome to your new home! We have recently opened another law office in Fort Worth Tx. Our Fort Worth business partner, The Price Law Firm, will be specializing in Personal Injury Claims, Bankruptcy Law and Hurricane Claims. We prepare for all of our cases as if we’re preparing for trial. To fully understand our clients specific circumstances, we deem it necessary to investigate the scene where their accident/injury occurred. This provides us with all of the legal tools to fight the large insurance companies and corporations. At Hood Law, our clients always come before financial gain. Our attention to detail delivered proves our dedication and commitment towards each personal injury case. When you hire Hood Law, you can expect to be treated like family. We work hard to provide you with the personalized legal representation and legal care for you. We prioritize keeping our clients involved every step of the way. When they feel the need to address their questions and concerns about their legal matters, our compassionate attorneys are there to be a listening ear. WHAT MAKES THE PRICE HOOD LAW OF TEXAS BETTER? At Hood Law, we only partner with the best law firms from around the country. The Price Law Firm is made up of William Price, Turner Rouse and Bryan Tharp. Each with years of experience and all ready to fight for you. We are fully committed to every case we take. We treat our clients like our family. We are truly on your side. All of our consultations are absolutely FREE. We don’t just settle, we will go to trial to get you what you deserve. We always pursue maximum recovery for our clients. The Price Law Firm has won over 10 Million for their clients. You stay involved in every stage of your case. We make sure that you are always at the center of your case. A big part of starting a family is buying your first home – you want them to live in a spacious house in a safe neighborhood that is close to good schools. Buying your first home, however, is not as easy as spotting one and paying for it – many young people lose money because they don’t know what goes into the transaction. We recommend choosing a quality real estate agent for your new home purchase. Just because a person holds a real estate license, does not mean they are the best person for your real estate transaction. There are many websites that assist in choosing a real estate agent. In addition, we keep a list of real estate agents and broker that we have had successful transactions with that we can recommend for you if needed. Because real estate transactions include large sums of money, real estate can be very litigious. Because the purchase agreement and other legal documents are needed for all real estate sales, we recommend working closely with a real estate attorney in addition to your real estate agent. Once you find the perfect home for sale with your agent, we request that you send us all of the legal documents, including the purchase agreement and all addendum, so we can review them. We will then coordinate with your agent through the closing on your new home. The best real estate agents do not have any issue with working in tandem with a real estate attorney. Using a qualified attorney does not affect their real estate commission, as a matter of fact, it provides the agent/broker with an additional level of protection. Often lenders require that you put down at least 20% but today you will find lenders who are willing to take as low as 3%. While this may seem like a better deal it is not – it often means higher interest rates. In the long term you will end up paying a lot more than what you would have. The best thing to do is start saving as soon as you get your first job. By the time you are in your late twenties and ready to start a family you will have enough money to put down 20% or more. Make sure that you have a good credit score. Lenders are more willing to lend money to people who don’t have outstanding financial obligations. Avoid spending big – that is how people get into debt in the first place. Come up with an amount that you can comfortably afford. Many young people end up buying homes that they cannot afford because they want to keep up with their friends. Remember, you are starting a family and you don’t want to do that with an unaffordable mortgage over your head. Look into what down payment options are available – there are many government sponsored programs that provide affordable loans to first time home buyers. Don’t forget to take into account closing costs – these are separate from what you will pay for the home and they are often significant. That is not all that you should budget for – remember that after you move in you will need to furnish your home. You don’t have to do it all at once – you can furnish only the rooms that you need right after you move in and then do the others slowly. This will help ease the financial burden. Think about what type of home would be best. If you buy a condo, for example, you will not have to worry about the cost of maintenance. If you buy a single family home all repairs and maintenance will be on you. Your home will be your most precious asset and you want to be able to recover should anything happen to it. There are many different types of cover available and you don’t want to buy the cheapest one – it means that you don’t have full coverage. Buy a cover that takes care of the property as well as the contents. Pre Approval gives you the confidence that you are staying within your budget and reassures the seller that you can afford the home. Choosing the right real estate attorney is an important aspect of purchasing a home. Make sure that the law firm that you choose has a good reputation. Choose your lawyer and agent wisely. .